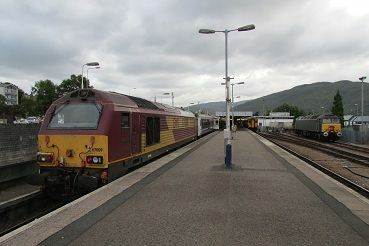 Description: This single track line runs from Aberdeen in North East Scotland to Inverness at the head of the Scottish Highlands through some very picturesque secenery. 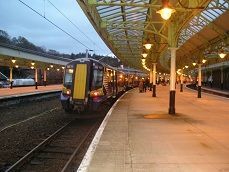 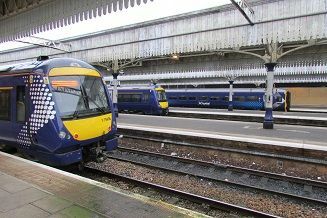 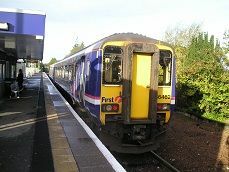 Description: The line runs along the northern bank of the estuary of the River Clyde as it reaches the Atlantic Ocean. 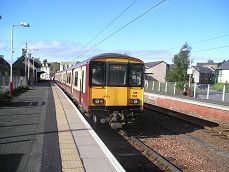 Description: This is the shortest and most direct route of the four lines between Glasgow and Edinburgh and joins the former branches to Drumgelloch and Bathgate together. 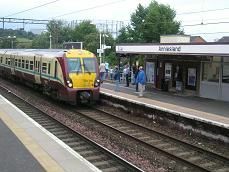 Description: Part of the original Waverley route through to Carlisle closed in the 1960's, this line was reopened to passangers in 2004 as far as Newcraighall and then in 2015 as far as Tweedbank. 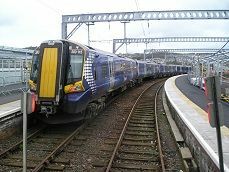 It is hoped that the line will be continued to Melrose, Hawick and ultimately Carlisle. 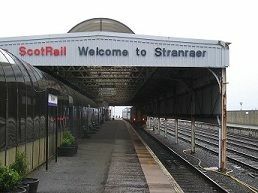 Description: One of the most picturesque railway journeys in Brtain. 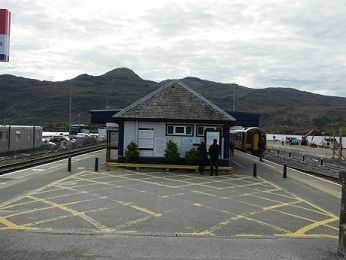 The line starts at Fort William in the shadow of Ben Nevis and contunues westwards over the viaduct at Glenfinnan and on to the Western Isles and the Isle of Skye. 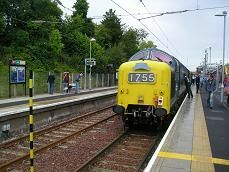 In the summer West Coast Railways operate a steam hauled train over the route called "The Jacobite". 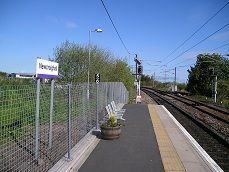 Trivia: This line has been featured in some of the Harry Potter films. 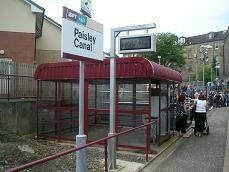 Description: This partly single track line goes through the south western suburbs of Glasgow and onto the town of Paisley. 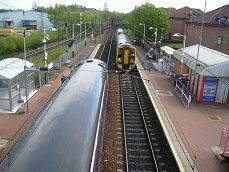 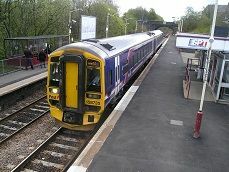 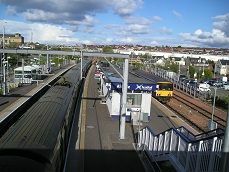 Description: This line goes due east from Glasgow to Whifflet in the town of Coatbridge. 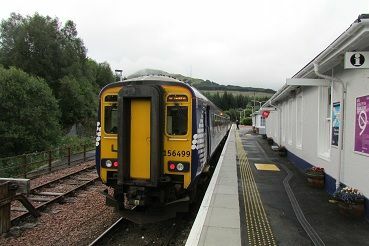 Stations: Glasgow Queen Street, Westerton, Dumbarton Central, Helensburgh Upper, Garelochhead, Arrochar & Tarbet, Ardlui, Crianlarich, Upper Tyndrum, Bridge of Orchy, Rannoch, Corrour, Tulloch, Roy Bridge, Spean Bridge, Fort William. 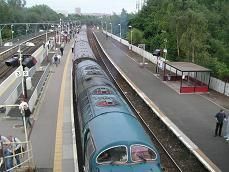 Description: Described as the most beautiful raliway journey in the world. 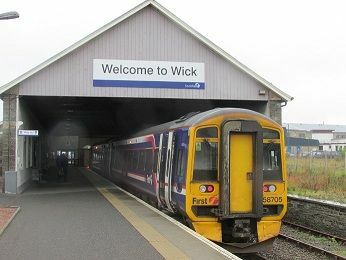 This line travels from the metropolis that is Glasgow up into the western highlands of Scotland over mountains and round lochs to reach the town of Fort William over a hundred miles away. 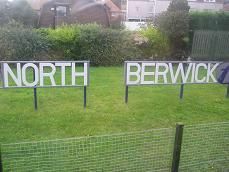 Description : The furthest railway line you can go on in Gteat Britain covering both wild moorland and coastal scenery, with a split to two different destinations at Georgemas Junction. 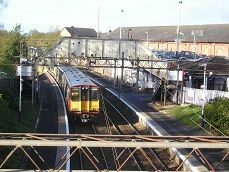 Trivia: Georgemas Junction is the only railway station in Great Britain where you can catch the same train to two different destinations! 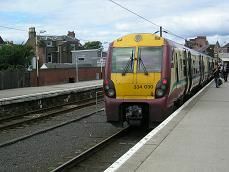 Description: The line goes in a south westerley direction from Kilmarnock following the Atlantic coastline in some areas. 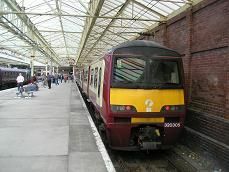 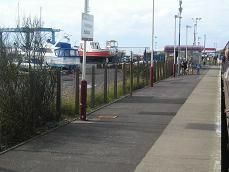 Description: The line follows the Ayrshire coastline northwards after coming south westwards from Glasgow. 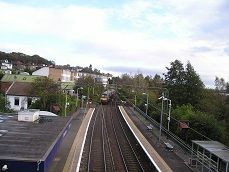 History: The line to Greenock opened in Februray 1841 and then an extension to Gourock three miles further down the line, was opened in 1889. 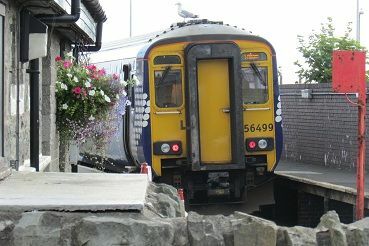 This involved blasting a line through rocks. 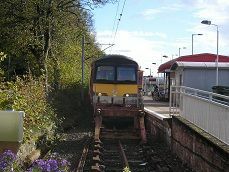 History: The line from Port Glasgow to Wemyss Bay was opened in 1865 by the Caledonian Railway. 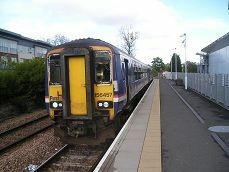 Description: A short branch on an existing freight line to Dunfermline. 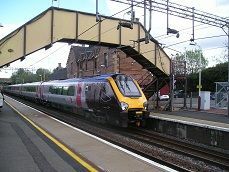 Re-opened to passenger traffic in May 2008.